Dorchester on Thames is a charming, historic village that sits at the confluence of the rivers Thame and Thames, just 9 miles south of Oxford. As well as being a marvellous place to live, it is also the ideal centre for exploring some of England’s finest countryside, loveliest villages, stateliest of homes and oldest seats of learning. 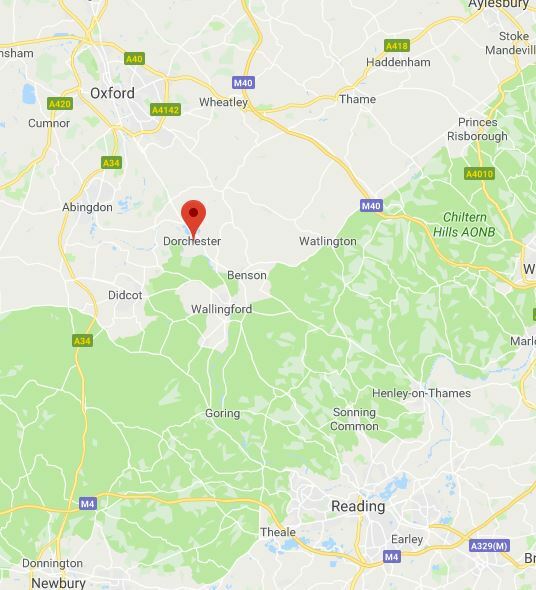 A small Oxfordshire village of just over one thousand inhabitants, Dorchester on Thames is located eight miles south-east of Oxford and close to the spot where the River Thame meets the River Thames. One of the oldest communities in the area, the village, local walks and Dorchester Abbey are popular with visitors. Not to be confused with our Dorset namesake, Dorchester on Thames is perhaps best known for the magnificent Abbey Church of St Peter and St Paul. We are just 10miles south of Oxford, 18miles from Reading and 7miles from Abingdon. If you drive please follow event parking signs and park considerately in our small village.